The capital of Germany’s Bavaria region, Munich is best known for it’s beer-fuelled autumn Oktoberfest, but there’s more than just lederhosen and steins on offer in this city. I was invited to discover its highlights and hidden treasures with flybmi, who fly to Munich from my local airport in Bristol. Munich is one of their main hubs with connections across Europe, but my focus was on the city itself. And it was a trip of two halves, with one gloriously sunny day and one wet and windy. 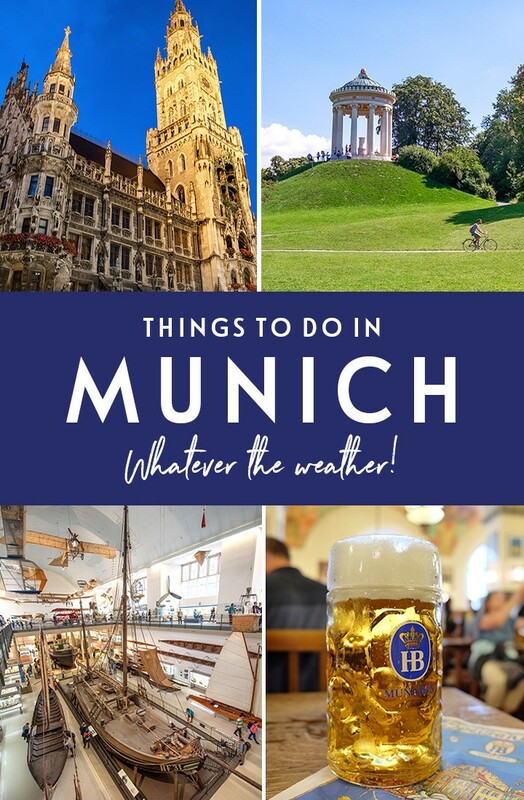 But that gave me chance to try out two different sides to the city, and discover some of the best things to do on a weekend in Munich – whatever the weather. 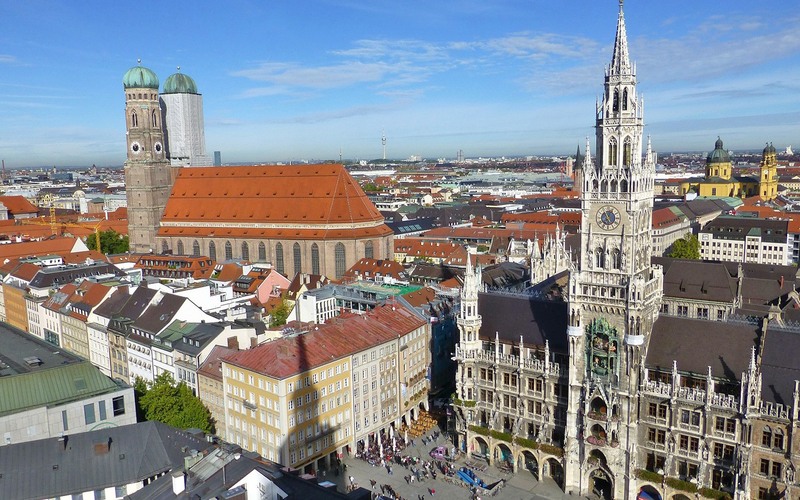 If you’re short on time in a new city – especially one as big as Munich – then a walking tour is a really good way to get your bearings. Sandemans do a free three-hour tour leaving from Marienplatz a few times a day which takes you through some of the city highlights. 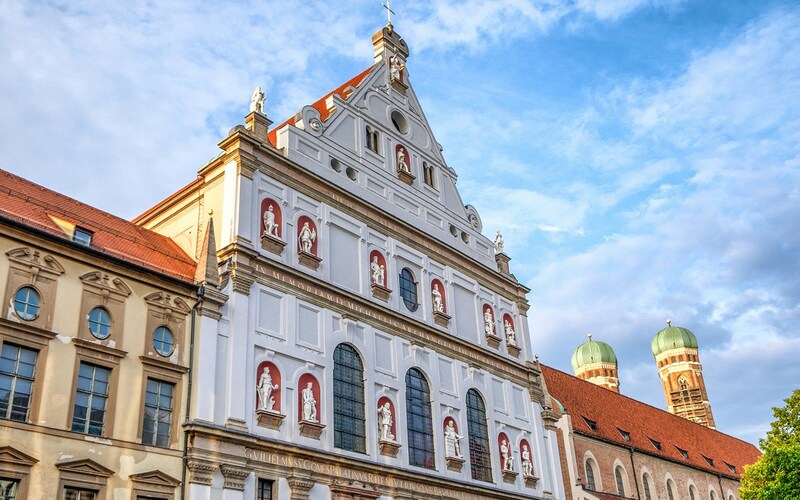 The historic heart of Munich is full of beautiful architecture, from the Medieval city gates and Gothic Neue Rathaus (New Town Hall) to the ornate churches, fountains and market squares. 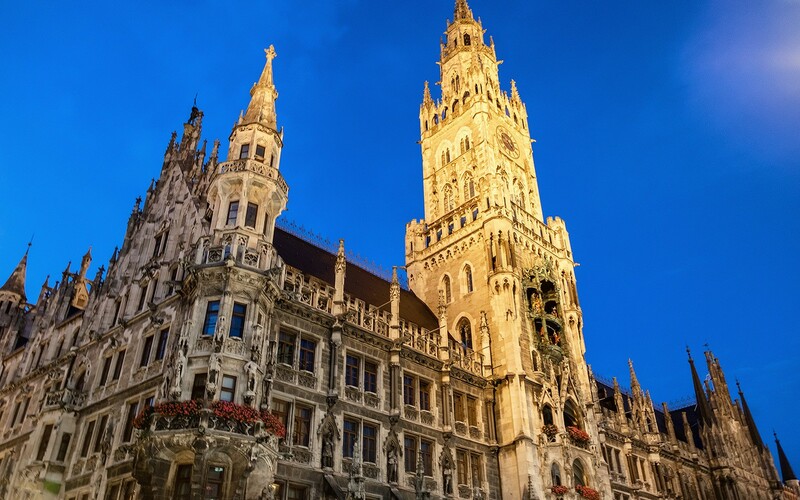 And while you’re at Marienplatz, don’t miss the glockenspiel – this mechanical clock has 43 bells and 32 life-sized figures which puts on a 15-minute show with scenes from Munich’s history at 11am and 12pm every day (plus an extra show at 5pm between March and October). For an alternative view of Marienplatz, head up to the top of St Peter’s Church for a panorama down onto the square and out across the city. St Peter’s Church is the oldest church in Munich and is on a hill so you can’t miss it. 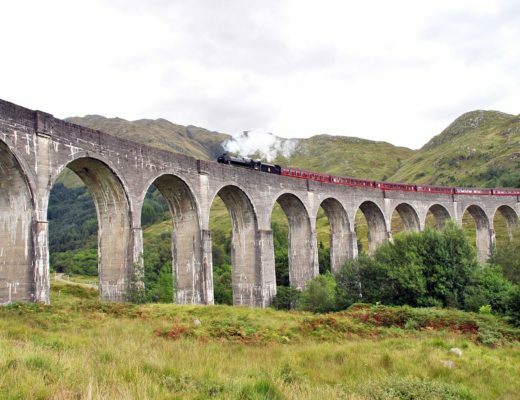 It was rebuilt after being badly damaged in the Second World War. 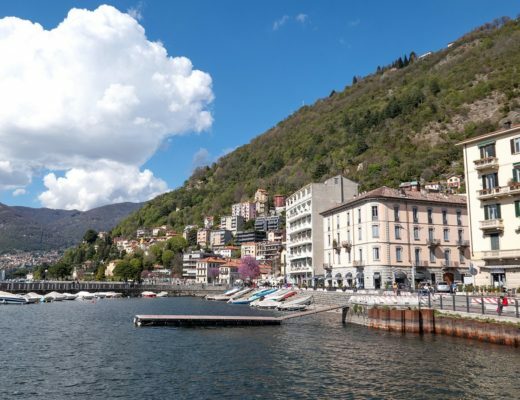 There are 299 steps to climb to get to the top and there’s not a huge amount of room along the way, but the views are worth the effort – if it’s clear you can even see as far as the Alps. 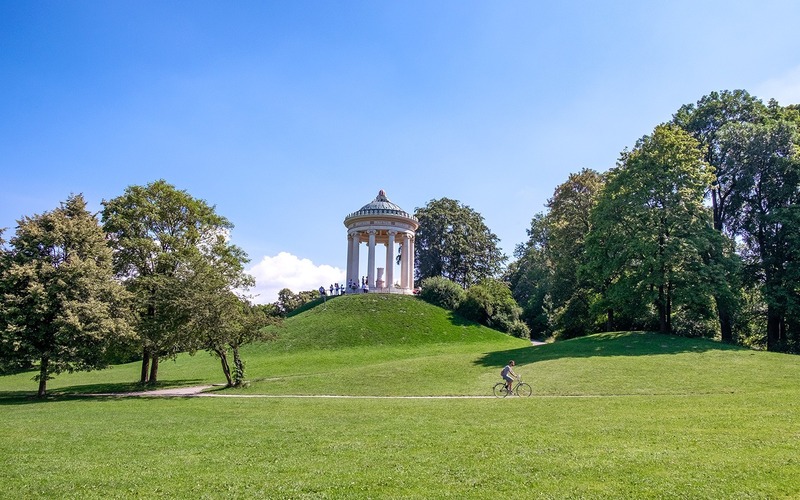 Munich’s English Garden is one of the largest city parks in the world. 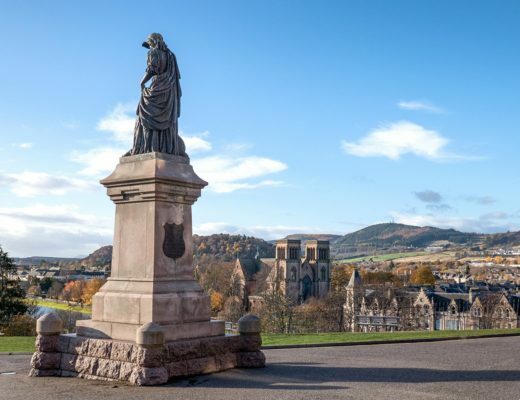 It was built in 1789 to look like an English country park, with lawns, lakes and pavilions, and is a huge green oasis with lots of shady spots for a sunny day. It’s a great place to hire a bike and explore. There are a few uniquely Munich touches thrown in too – like the beer gardens, the Greek temple-style Monopteros and especially the surfers. 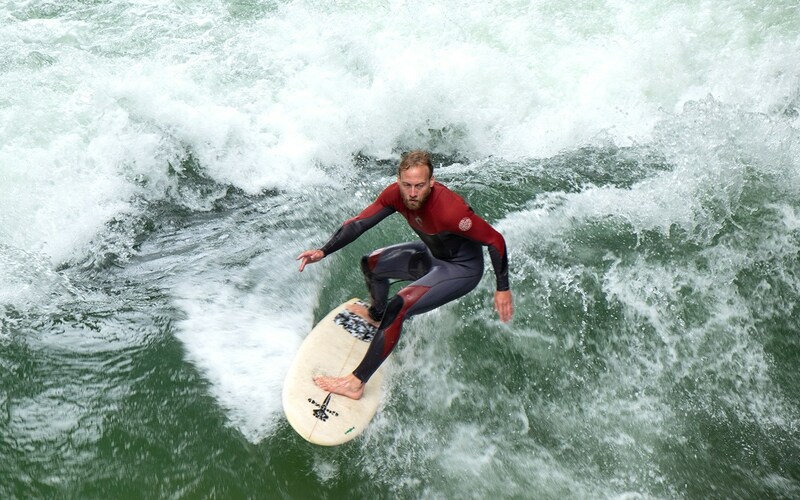 Yes local surfers don’t let being miles from the sea stop them, instead they catch a few waves on the Eisbach river in the middle of the park. A concrete break means there are constant waves, and the bridge over the top is the perfect vantage point to watch their tricks (and some impressive wipeouts). Munich really loves its beer, and the beer gardens all across the city are packed on a sunny day. 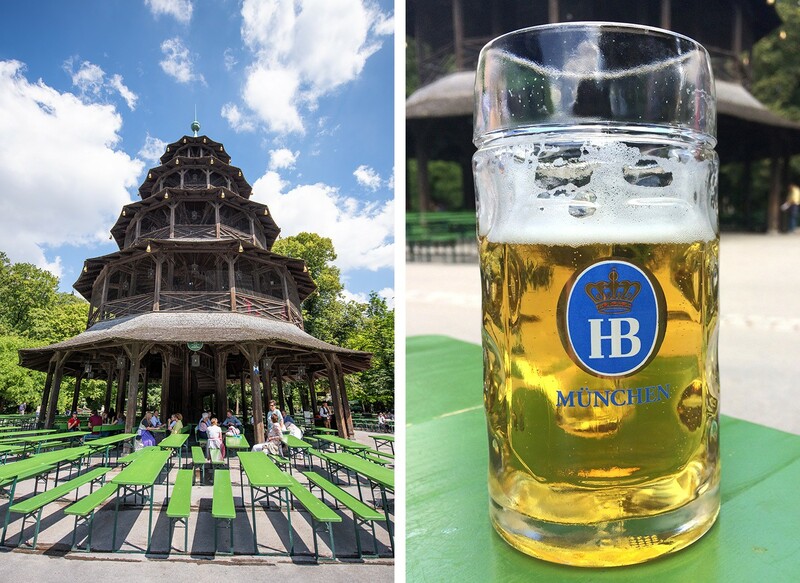 Most famous is the Chinese pagoda (Chinesischer Turm) in the English Garden – the only place where you can grab a litre of beer and listen to a Bavarian band playing inside a Chinese temple. It opens at 10am so you can call in for a Bavarian breakfast – beer, Weißwurst (white sausages) and a brezen (pretzel). There’s another beer garden in the park alongside the Kleinhesseloher lake or try the giant Hirschgarten – the largest beer garden in the world with 8000 seats. The Viktualienmarkt is Munich’s biggest outdoor food market. It started life as a farmers’ market where people would come to do their weekly food shopping. But now it’s a real foodie hub, where you can buy gourmet local produce, from cheese and meat to bread and honey. There are tables in the middle where you can grab a seat underneath the chestnut trees and eat what you’ve bought if you buy a drink (being Munich of course there’s a beer garden there). 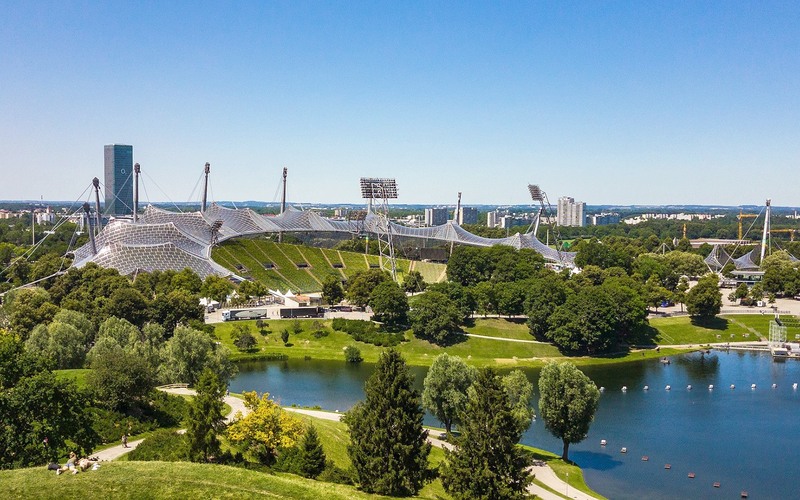 Just outside the city centre, the Olympiapark was built for the 1972 summer Olympic Games. Unlike some old Olympic sites around the world, this one’s still going strong and is another great green space to explore if you fancy escaping the city. There are lots of different things to do around the park – climb up onto the stadium roof, check out the views from the Olympic Tower, boat on the lake or visit one of the summer concerts, film screenings and events. The giant Deutsches Museum is so big that you could probably fill a whole rainy week in there if you needed to. But even if you’ve only got a short time it’s worth calling in and seeing some of the wide range of exhibits from the world of science and technology. 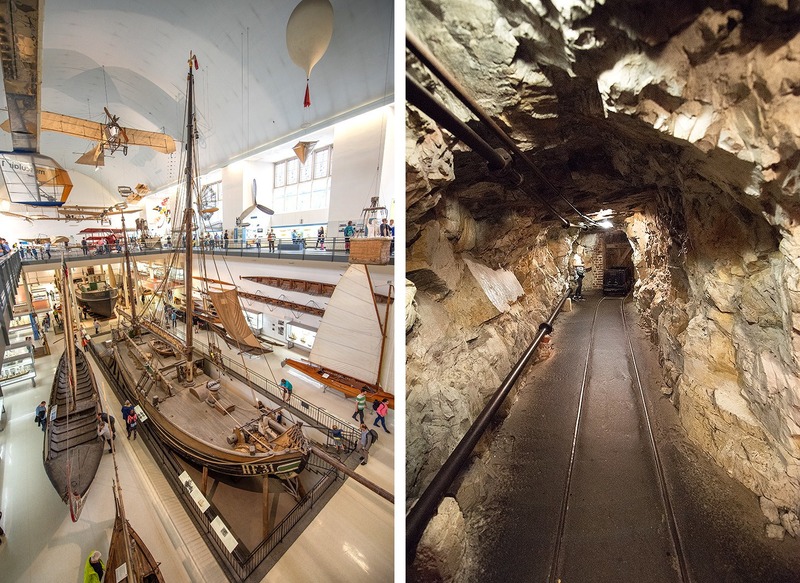 There’s everything from historic planes to astronomy, computers to recreated salt and coal mines. Some exhibits are in English and there’s tons to look at, as well as lots of interactive exhibits for kids – of all ages. Queues can be big though, especially on a rainy day, but you can buy tickets online (we did it while we were in the queue) and skip to the front straight away. Munich’s Residenz was home to Bavarian royalty and seat of the government from 1508 to 1918. From outside it’s an imposing but fairly plain building, but inside it’s all-out opulence with gold, frescoes, statues and marble everywhere you look. Take an audio tour to see some of the highlights of its 130 rooms. 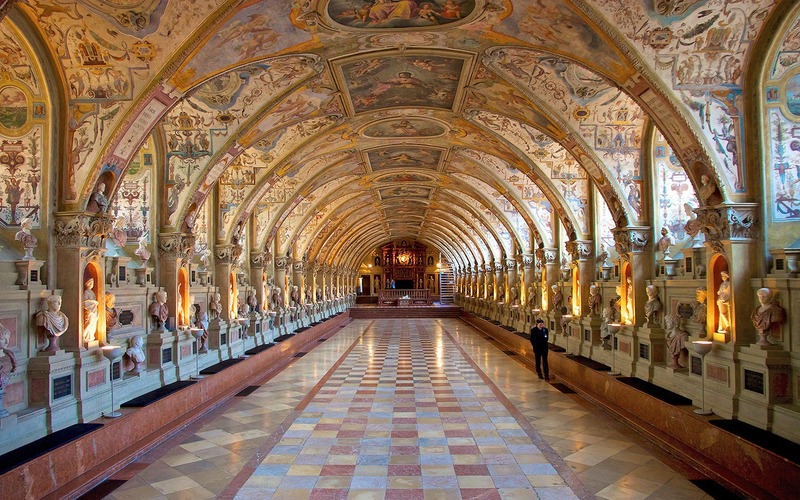 There’s the arched Antiquarium (hall of antiquities), a banqueting hall covered in paintings, the elaborately decorated Reiche Zimmer (ornate rooms) and the Schatzkammer (treasure chamber) with piles of jewelled swords, crowns and royal artefacts. 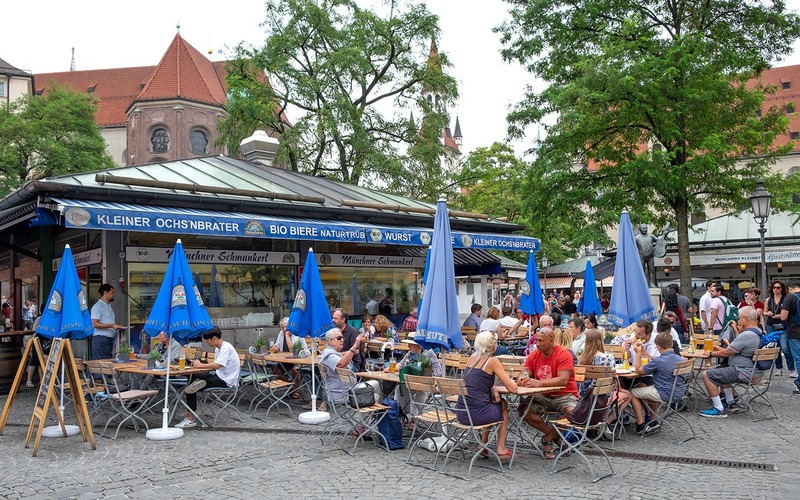 There’s a beer-drinking opportunity for all weathers in Munich – beer gardens on a sunny day and beer halls when it rains. 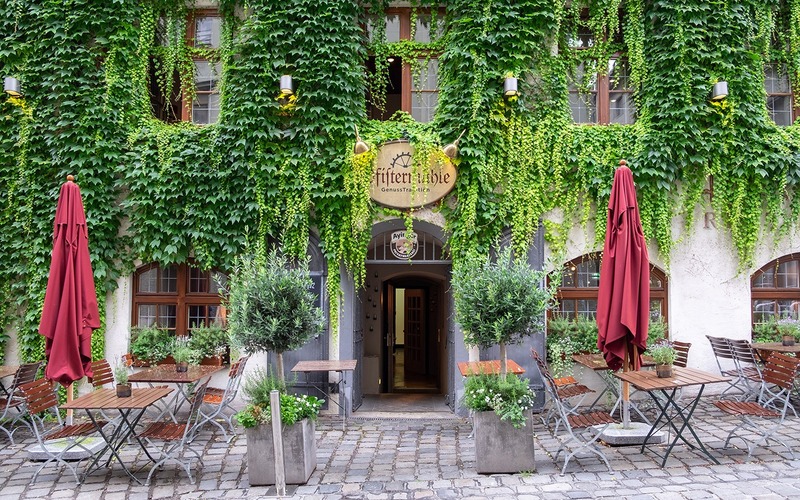 These cosy halls are social spots, serving their own brews on shared tables, with local dishes to soak up the beer. The Hofbräuhaus is most famous, where tourists mix with Lederhosen-wearing gents to drink beer in litre steins and snack on pretzels from waitresses in dirndls while a Bavarian band plays. Come by day if you want it quiet or join the party at night. Or for a more low-key, local feel try the Paulaner, Augustiner or Schneider halls. Munich is the headquarters of car giant BMW, and they’ve built a couple of attractions for car fans at their site near the Olympic Park. 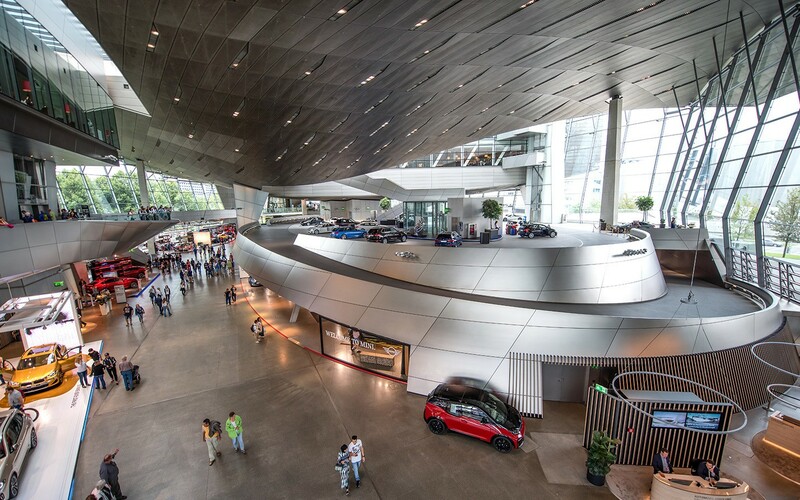 First there’s the BMW Welt, a giant car showroom with the latest models, concept cars and some historic favourites on display. It’s free to look around, but if you want to find out more you can pay to go into the BMW Museum in a separate building across the road. Even if you’re not hugely into cars, the buildings’ striking modern architecture is worth checking out – and there’s even a Michelin-starred restaurant on site. Munich is a great city for art lovers with it’s own art museum district known as the Kunstareal. 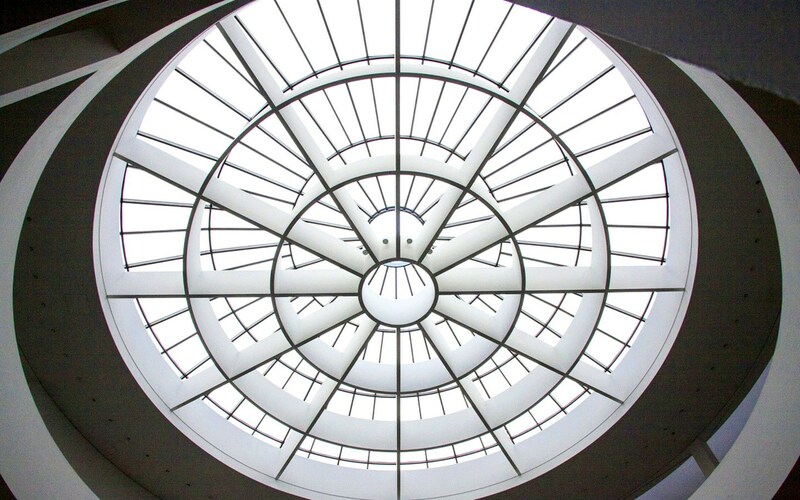 It’s home to museums covering Greek, Roman and Egyptian art. 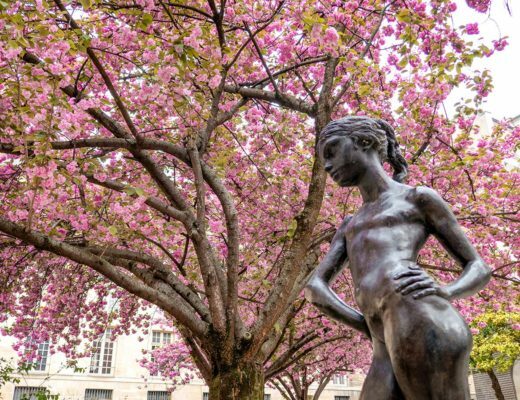 But best-known are the three Pinakothek art museums – the Alte Pinakothek for Old Masters, the Neue Pinakothek for 18th- and 19th-century European art, and the Pinakothek der Moderne for contemporary art. So you can choose your favourite period and dip into their wide-ranging collections. 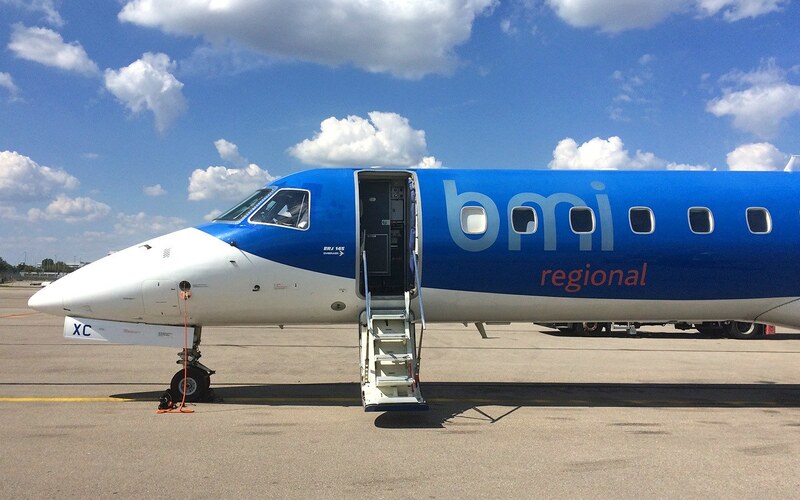 I flew to Munich with flybmi’s regional service from Bristol. It was a quick and easy flight, and bmi is one of the few low-cost airlines where you still get free drinks and snacks on board and don’t have to pay to check a bag. Munich Airport has been rated five-star and voted best in Europe, so it’s worth getting there early for look around. There’s a rooftop viewing platform where you can watch the planes with a coffee from the Cloud 7 coffee shop, interactive screens for info on what to do in Munich and sleep pods if you want to grab a snooze in transit. They’re justifiably proud of their restaurants – most are unique to the airport rather than the usual chains, and locals even come to the airport just to have dinner. We tried out one of the newest, the SportAlm Alpine-style restaurant with a ski gondola big enough for two and deckchairs on the terrace. 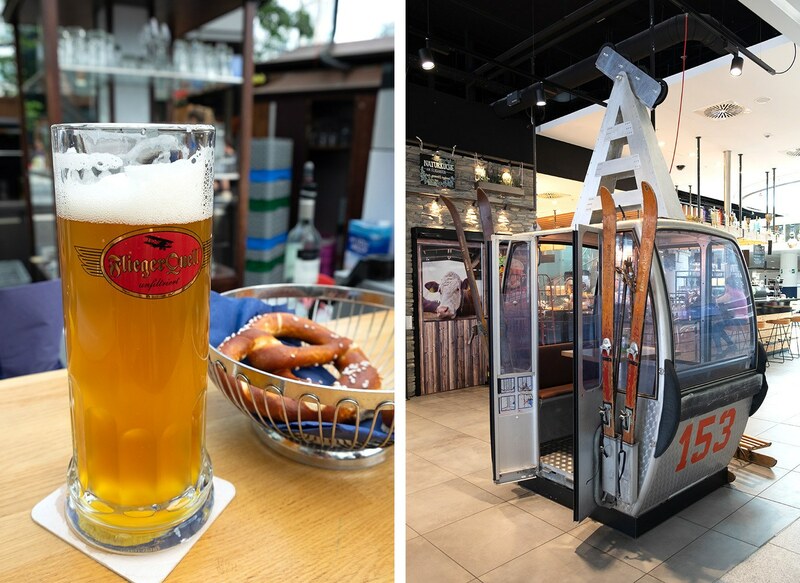 And being Munich there had to be beer in there somewhere – Munich’s the only airport in the world with its own brewery on site. So you can grab a beer at the Airbrau (at €2.75 they’re cheaper than beers in the city) for a perfect end to a trip. Munich Airport is 36km north of the city, and the easiest way to get between the two is by train. The S8 and (slightly slower) S1 routes link the airport with city centre stops like the Hauptbahnhof (main station) and Marienplatz. A single ticket costs €11.60, or if you’re planning on using the trains again the same day it’s better value to get a day pass for €13. There’s also a group airport day ticket for €24.30 which covers up to five people travelling together. Munich’s fairly spread out but there are good connections across the city via the S- and U-Bahn trains – a day ticket for the inner district costs €6.70 per person (or €12.80 for a group ticket). You can buy tickets in any station but there’s also an MVG app which you can use to buy your tickets – it’s available in English and for international visitors too. We stayed at the Aloft Munich, right opposite the Hauptbahnhof main train station which made it really easy to get around the city. Aloft is the cool, boutique-style brand owned by the Starwood Hotels chain, with a focus on city centre locations and quirky decor. 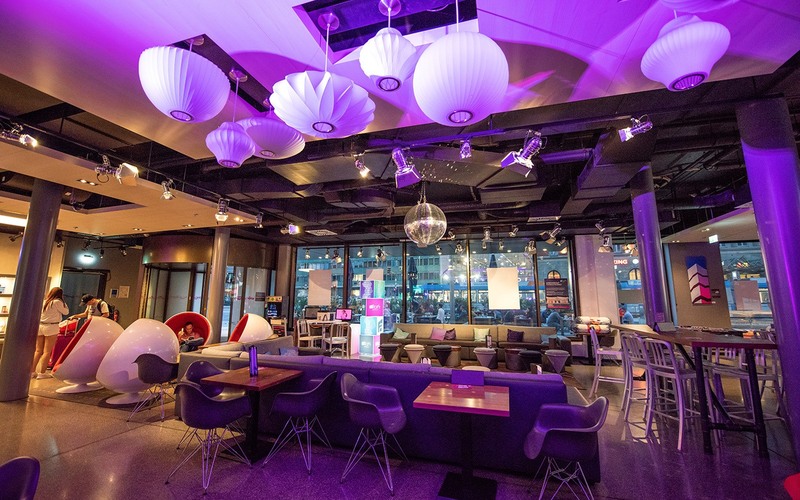 And the lobby definitely fit the theme, with bubble chairs, colourful lighting, a pool table and the W XYZ bar where they have Live@Aloft music sessions featuring local singers and bands. Our fifth-floor double room had plenty of space, with an en-suite shower room and Nespresso machine. A continental breakfast was included – and special mention for their environmental efforts too, from serving drinks in glass rather than plastic bottles, to jams in mini ice cream cones rather than jars and large bowls of yogurt rather than plastic tubs. Big thanks to flybmi, Munich Airport and Aloft Munich for hosting me in Munich. All views and opinions are, as always, my own. Another place on my list. Your post was excellent, will save it. Thanks Darlene, it was a bit of a whirlwind trip but it’s a fascinating city! Thank you for sharing! Beautiful photos, too! I am visiting in September, so I’m definitely taking note of most of these! Thanks Megan – hope you have an amazing time (and more sun than rain!). Love the walking tour suggestion. 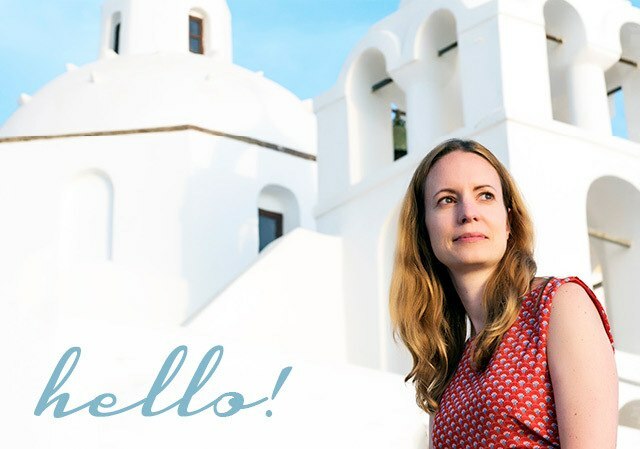 I often find those to be a fun way to bring history alive as well as get some local flavor from the guide. I’ll also second your recommendation for the Bavarian breakfast! 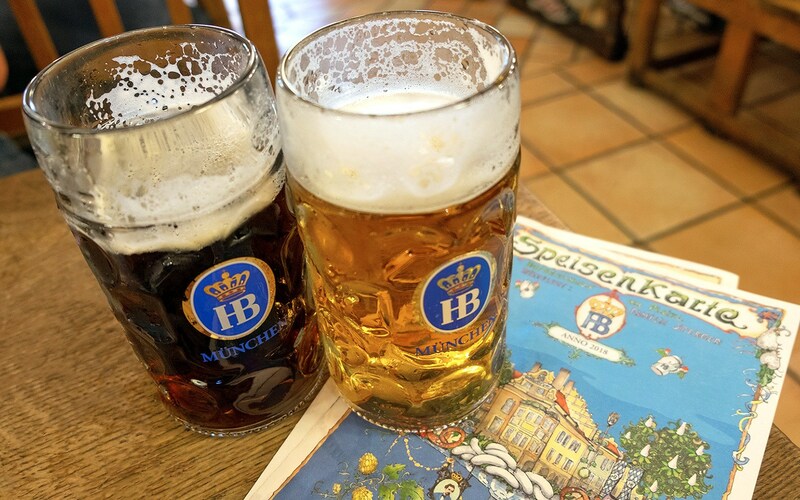 Thanks Scott – those Bavarian breakfasts are a must! And thanks for retweeting too. I’ve yet to visit Munich but it looks like my kind of place! The grand Residenz looks stunning and I’m not known for saying no to a good beer! Thanks Kathryn, Munich is definitely one to add to the list if you like beer! I always had dream to visit Munich and guess what you motivated me once again. You just portrayed all the things what to do. 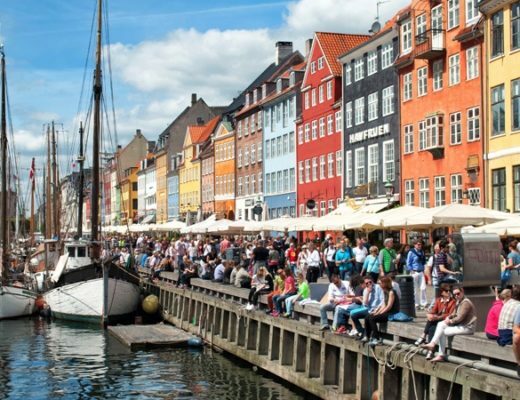 This will really inspire travel beginners. Heading to Munich tomorrow and it looks like the weather will oscillate between sunny and rainy so this post is perfect – thanks so much! Have a great time – and hope you get more sun than rain! Oh no – hope you do all get to make it there sometime soon!